Mushrooms: They have B12! When exposed to UV light, they make vitamin D2. Protein, fibre, and selenium. Shall I go on? If you have a pet reptile or just so happen to have a Repti-Glo bulb (or an epic Sperti lamp ), try putting some shrooms under it for a half hour to increase the Vitamin D content (this is partly speculative, but has precedence: eg, Roberts et al., 2008, Ko et al., 2008, and Koyyalamudi et al., 2009). Hey vegetarians, shrooms also have some vitamin B12 for you (Watanabe et al., 2013 and 2014)… they’re not really “plants,” anyway. 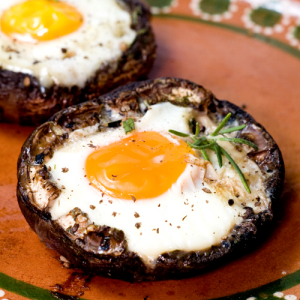 Mushrooms protect against oxidative stress in hepatocytes and neurons (Guizani and Waly, 2012). Watching your carbs? 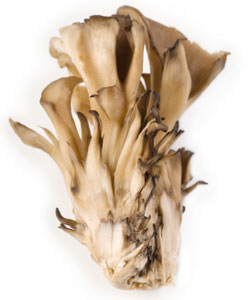 Maitake mushrooms have compounds which block the digestion of carbs (Eg, Su et al., 2013 and HERE). 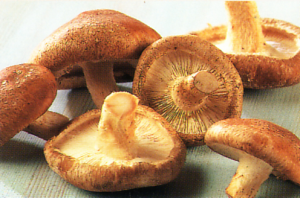 …and some of ‘em, like shiitake, taste quite meaty. N.B. 1) The carbs in mushrooms aren’t very carby — they’re complex glycans like prebiotics, and can improve gut microbial diversity (at least in mice) (Varshney et al., 2013); and 2) there aren’t many total carbs in mushrooms; they’re mostly water. The proteins are pretty cool, too: Bioactive proteins from mushrooms (Xu et al., 2011)… immunomodulatory proteins, ribosome inactivating proteins, laccases, antitumor, antiviral, antioxidant… and in terms of overall protein quality: not bad. I’m pretty sure they’re “in-season,” year-round. Paleo and Low Carb-friendly. Good calories, albeit not very many calories (for those who are counting). Melissa McEwan even grew ‘em in her bathroom using an at-home kit! Pretty weird, but very convenient if you like shrooms. If you like what I do and want to support it, consider becoming a Patron! Five bucks a month for access to all new articles and there are many other options. If you’re on the fence, try it out, you can cancel at any time. This entry was posted in Advanced nutrition, microbiota, Protein, Sun, Vitamin D and tagged calories proper, carbs, mushrooms, nutrition, prebiotics. Bookmark the permalink.